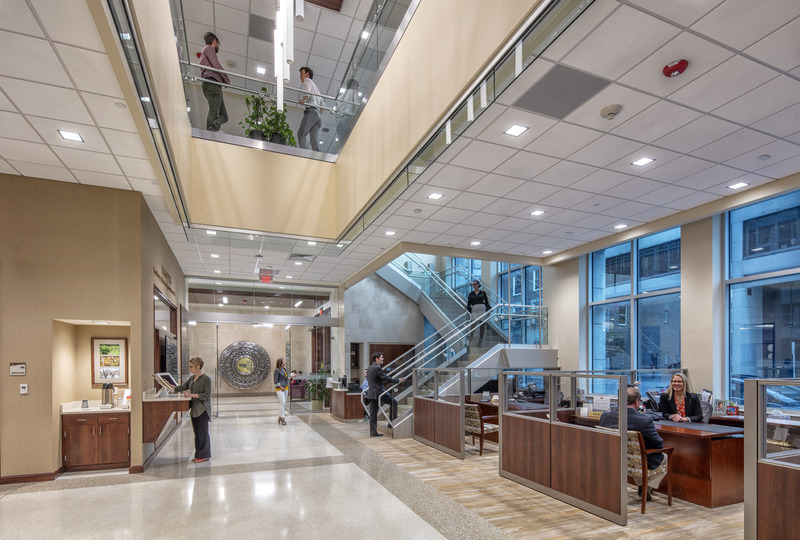 Tompkins Financial’s 7-story, 110,000sf office building brings 300 employees from multiple locations together under one roof in Ithaca’s downtown. The new state-of-the-art facility serves as the company’s corporate headquarters and includes ground floor retail services, and offices throughout each of the additional six floors. The stately design blends the tradition and aesthetic of historic bank buildings with the modern structures of Ithaca’s downtown.